Blink-182 are one of those bands that I am aware of, know people who grew up loving them, could probably name a couple of songs from, but have never felt any urge to listen to before this series. American ‘Pop Punk’ was a genre that all of my friends were obsessed with, even though at the age of 10 back in 2001 I definitely shouldn’t have had friends who owned a Blink-182 album. The culture surrounding the band, from frat boys to the rock fans who would see the band on the Warped Tour is so alien to me and this album in particular I genuinely didn’t recognise a single song. Blink-182’s sound is defined by being as frenetic as possible for the biggest impact, massively fast drum sequences plenty of shouting with curse words dropping every few seconds. Reckless Abandon sums this up perfectly, a song that’s literally designed to allow the listener to shout along with the nonsense lyrics. Songs like this and The Rock Show are so energetic but so lacking in any substance. First Date ends up coming off a little better thanks to the catchy hook and pop leaning guitar riffs, while album standout Stay Together For the Kids feels like one of the few times the band manage to calm down to deliver a song with some depth. Story of a Lonely Guy attempts to do the same but the vocal performance makes it impossible to enjoy. I found it very hard to enjoy Take Off Your Pants and Jacket. For me, it simply doesn’t have the lyrical depth or performance quality that you#d get from the likes of Green Day on the Punk side of things and a ridiculous as it sounds, Busted were writing better songs of this ilk – mildly offensive pop punk songs that teenage boys and girls love- on the Pop side just a few years later. Take Off Your Pants and Jacket is an album full of songs I have definitely never heard before and yet every single one is so similar to each other that by the end I’m convinced that I had. Best Track: Stay Together for the Kids was probably one of the few actually memorable songs here. 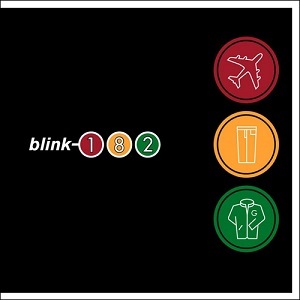 Tags: Blink-182, Stay Together For The Kids, Take Off Your Pants and Jacket, The World's Greatest Hits. Bookmark the permalink.